Golden-brown slices of toast loaded with flavorful toppings are the it food of the summer. No longer an afterthought that comes with your breakfast order, toast is now the star of the show. 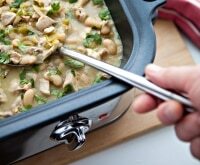 You can mix yummy combos of fresh veggies or fruit with fresh bread for a fab, no oven required meal. 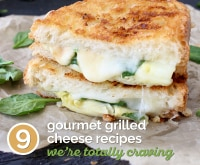 These are the perfect lunchtime treat, or you can start your outdoor party off with a grilled toast bar. Just put out toppings, spreads, and oils for people to create their own fancy toast! 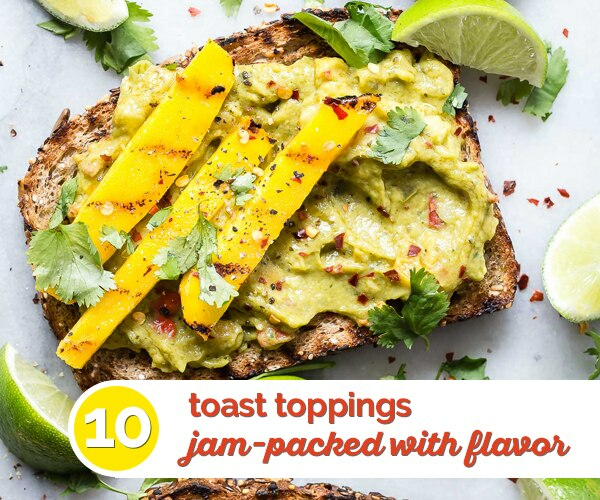 I bet you can’t wait to try out this flavor-packed treat, so here are 10 of my favorite toast topping recipes. If you’re eager to experiment on your own, here are my tips for toast topping perfection. 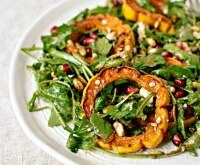 Got a hankering for some more summer treats? 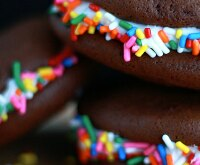 Try making these classic state fair food recipes at home. No one can say no to fresh funnel cake or fried Oreos! The bread is everything. You want to pick a bread that’s hearty enough to bear the load of all the spread and toppings you’re about to layer on. Plus, it should be bread you can toast or grill in a pan. Country white, ciabatta, sourdough, or rustic wheat will all work well. The spread is what will hold the toast and its toppings together. Whipped goat cheese or feta, cream cheese, or nut butters are great bases. 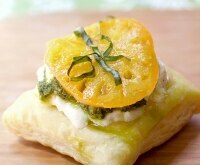 You can even think out of the box with hummus, pesto, or jams. This is what adds that flavor and where your creativity can go wild. 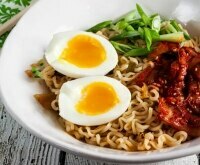 Combine sweet and savory, spicy and sweet, tart and creamy. 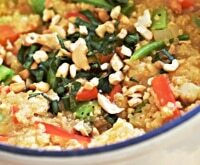 Mix veggies and fruit or add nuts and dried fruit for a little extra texture. Finish your toast toppings off with a splash of flavored oil, vinegar, or honey and a twist of fresh pepper or Maldon salt. One of my favorite toast toppings comes from a little beach cafe near where I used to live. 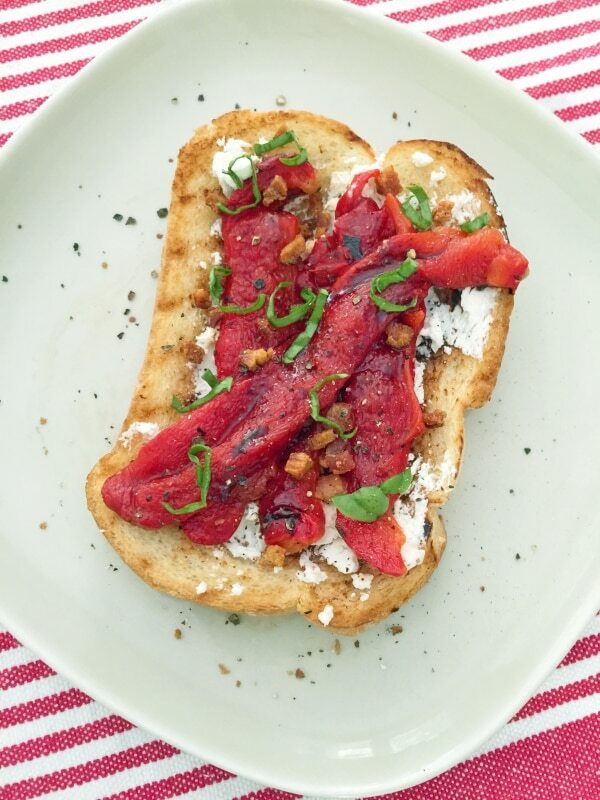 A combo of goat cheese, roasted red peppers, and a splash of balsamic make a tasty toast. They served it with a little green salad on top for the perfect finish. 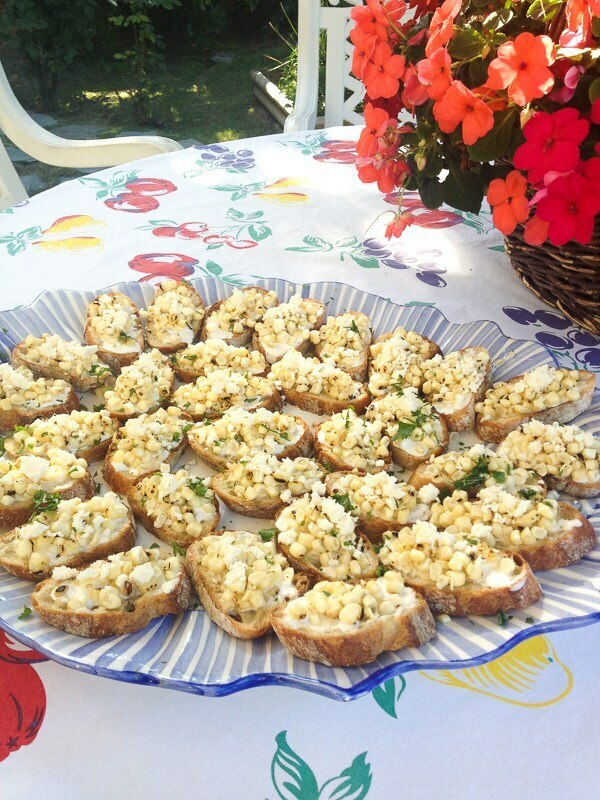 Spread with goat cheese and top with roasted red pepper. Splash with vinegar and basil. Goat cheese and a quality loaf of bread tend to stretch my budget a little, so I always try to shop the brands that offer a coupon. My local grocery store accepts the coupons I print off from Coupons.com, so I always check their site before I go on my weekly grocery trip. The sweetness of the mango pairs well with guacamole and lime. 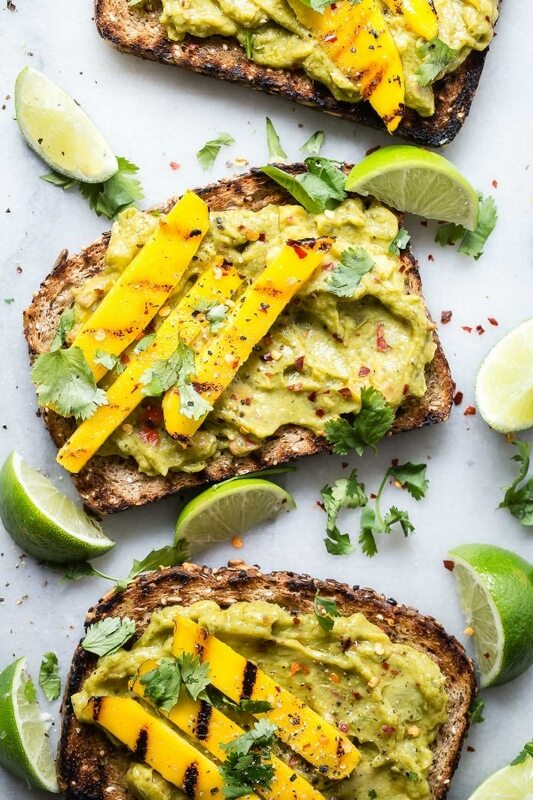 Add a few chili flakes and this avocado toast recipe screams with flavor. If mango is out of season or too expensive, top off your guac with some crispy bacon instead. Max out your savings by printing off an Oscar Mayer bacon coupon, like this one for $1 off their Fully-Cooked Bacon. 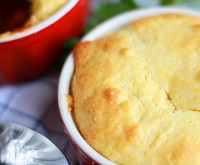 With tomatoes coming into to season, this is a great meal on the run. 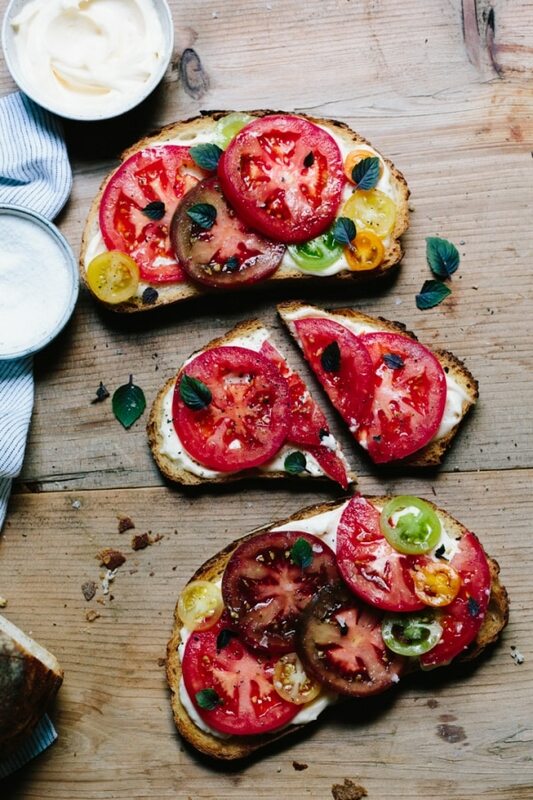 You only need mayo, tomatoes, and bread to create this refreshing toast. 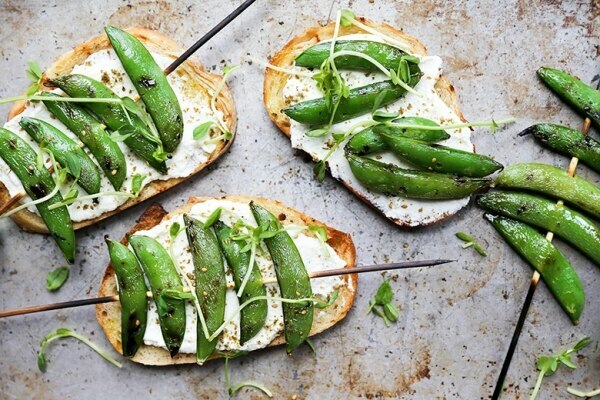 The grilled snap peas add a smoky flavor to this light toast, while whipped ricotta cheese lightly sweetened with honey adds balance. 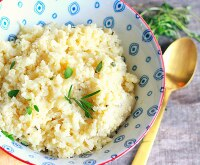 Need something to make with your leftover ricotta? 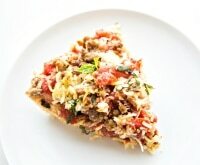 Skip ahead to slide 10 for amazing Lasagna Toast! This Mexican Corn Bruschetta is one of my favorite appetizers. The flavorful Mexican grilled corn seasoned with salt and black pepper is the perfect topping for bite-sized bruschetta. 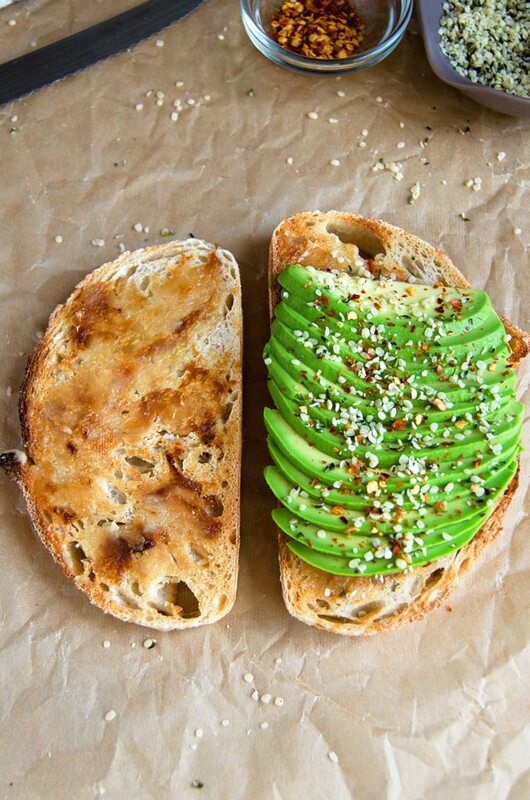 Roasted garlic, hemp seed, and chili flakes spice up the greatest avocado toast ever. 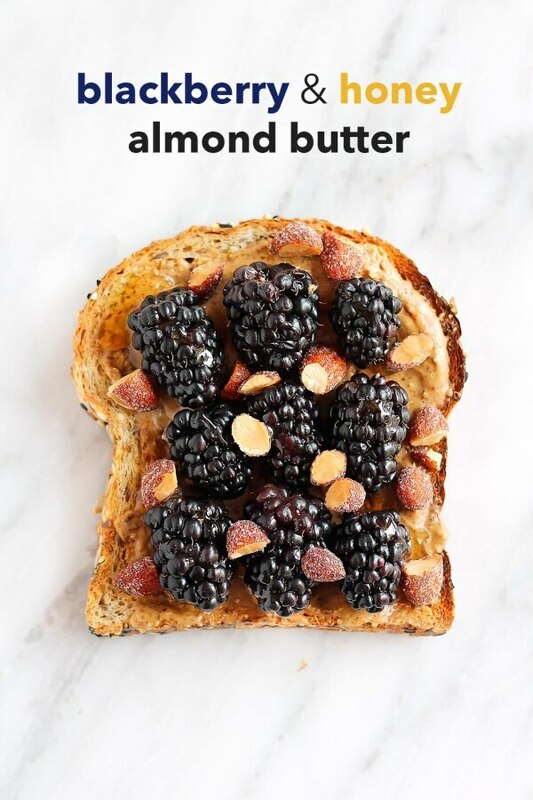 A twist on the classic PB&J, this toast topping is packed with fiber and protein thanks to the almond butter, plus antioxidants from those amazing blackberries. 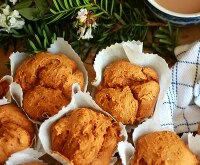 It’s great for breakfast or an afternoon snack. 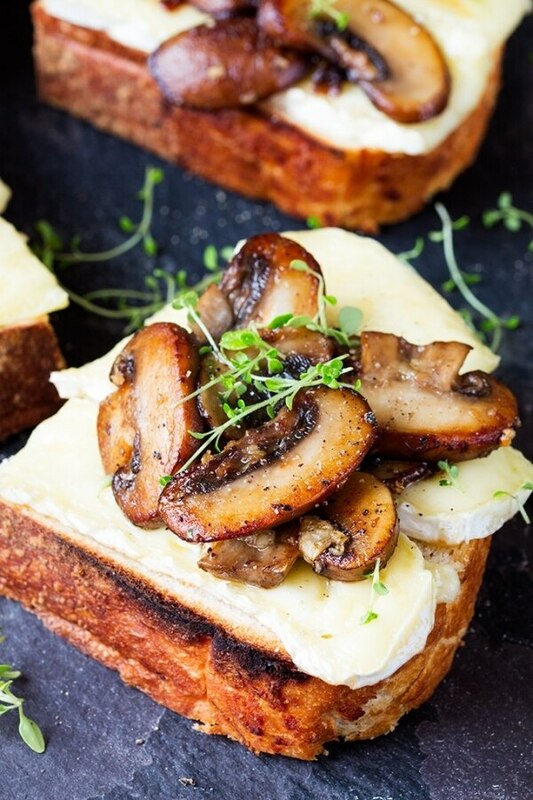 Savory garlic sautéed mushrooms served over creamy brie makes a sophisticated veggie toast. 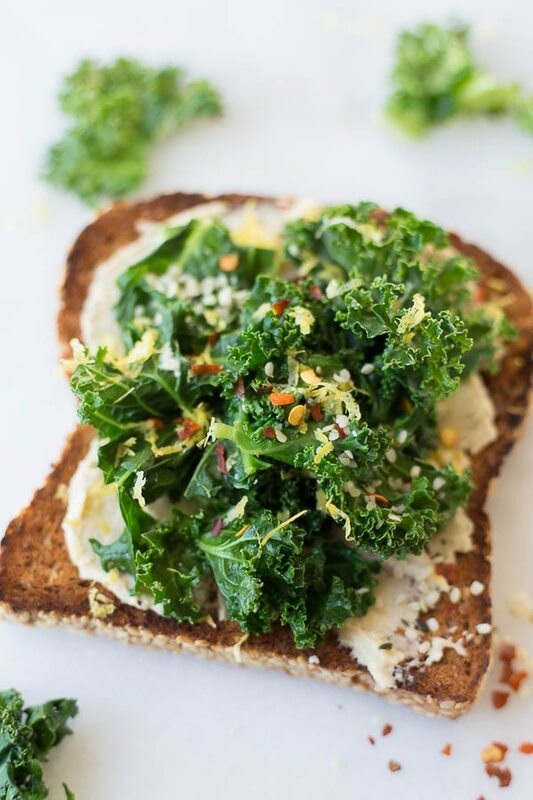 Take your favorite hummus and top it with a little kale sautéed in garlic and more than a few tasty spices for a healthy, light meal. Craving lasagna but in a hurry? 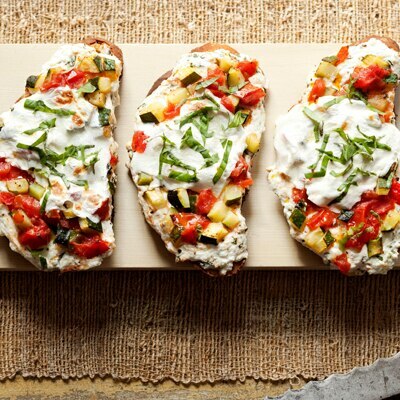 Take ricotta, mozzarella, zucchini, and tomatoes to create a delicious Italian bite.